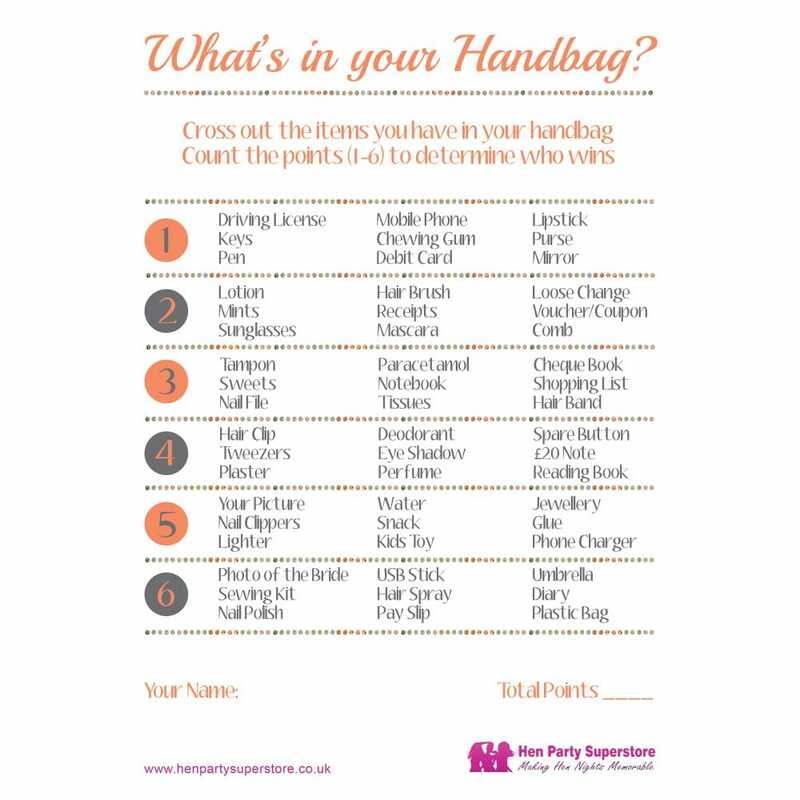 While waiting for your taxi to arrive, or for your meal to be served, 'What's in Your Bag' is a fun, girly pastime game to play with your hens. Perhaps include a sheet and a pen per gift bag so that hens can complete the game. Simply tick what you have in your handbag, and the person with the most items wins. Prepare a mini prize.